Resources, Energy and What Now? 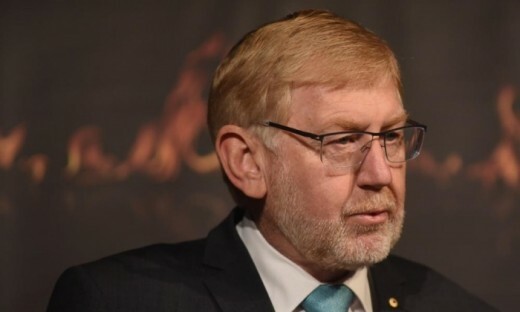 TTN, 31st March 2015: Former federal Minister for Tourism Martin Ferguson (pictured) is now a lobbyist for the oil and gas industries. Ferguson has come into the limelight in late March 2015 as the Labor party seek to expel him after he supported the NSW Liberal party’s key platform – power privatisation. 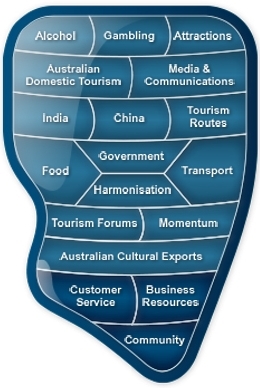 Julia Gillard was a member of ‘The Ferguson Left’ faction – which explains how the insultingly-titled ‘Department of Resources, Energy and Tourism’ was created, and allowed to exist for 6 years. Victorian Labor has taken steps to expel Martin Ferguson for disloyalty to the party during the NSW state election. Guardian Australia understands a charge has already been brought by a Victorian official of the Maritime Union of Australia, and the process of resolving the dispute will begin tomorrow. Ferguson, the son of a former Labor NSW deputy premier, Jack Ferguson, and a former ACTU president and federal cabinet minister – is now a lobbyist for the oil and gas industry. During the NSW campaign, Ferguson publicly endorsed the privatisation of electricity poles and wires and criticised Luke Foley’s campaign against it. Baird referred continually to Martin Ferguson’s endorsement of the privatisation plan throughout the campaign. The Coalition used the comments in advertisements throughout the campaign. Foley made no further comment. On Saturday night, NSW Labor senator Sam Dastyari said there was “no place” for Ferguson in the ALP. The Victorian move against Ferguson has high-level support in NSW Labor. The case against Ferguson will be heard by a three person disputes panel in Victoria, which will then make a determination. The dispute panel’s determinations are binding, but Ferguson would have appeal rights through Labor’s federal processes in the event the Victorian panel ultimately endorses the disloyalty charge, and produces a recommendation for expulsion. Ferguson’s remarks in the campaign build on other comments that have angered Ferguson’s former trade union constituency. He has backed the reinstatement of the Australian Building and Construction Commission – and criticised conduct by the construction union and by the maritime union. Ferguson told Guardian Australia on Sunday he rejected any suggestion he co-operated with the Liberals during the state election, and said his comments reflected long-held and long-articulated positions. “What am I to be charged with? Being consistent on policy?” Ferguson said Sunday. Ferguson said the facts on the economic benefits of privatisation for working people spoke for themselves, which is why other Labor figures supported the sell-off in principle. He said if the Victorian charge proceeded through to a recommendation for his expulsion he would pursue his rights through internal party processes. Ferguson said it would be very unwise for Labor, in an effort to “silence” him, to set about destroying its reform credentials in the public arena.